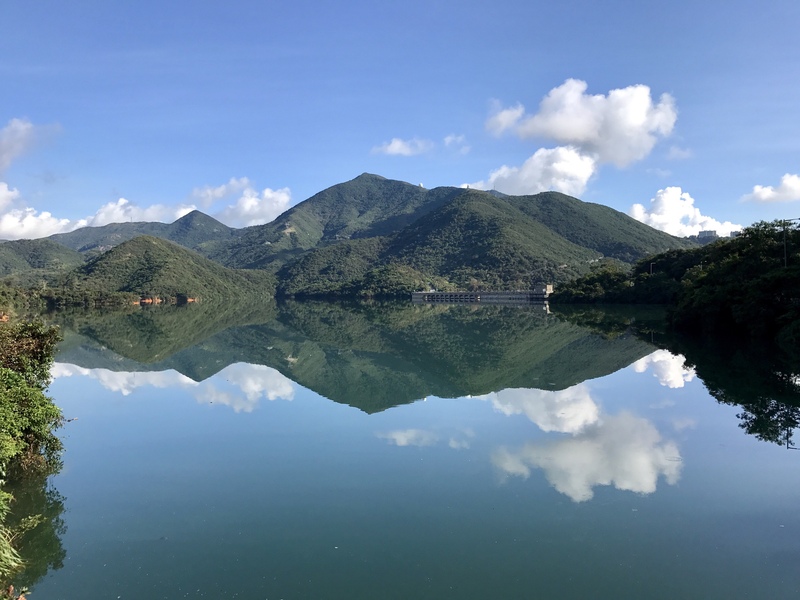 Just before the Tai Tam Reservoir bridge there is a trail which takes you to Tai Tam Reservoir near Tai Tam Road. How to get there: Number 14 bus that goes to Stanley , alight just before bridge and walk backwards. You will the board above opposite the road and steps going to the trail. Difficultly: 5/10 lots of walking up slopes. It is family friendly as my 7.5 year old enjoyed the beaten track. Follow the trail and keep walking. Look down though as there are lots of stones and leaves and roots of trees covering the path. Lovely rustic path that takes you to a beautiful stream and waterfalls. Continue up the steps and keep walking. You will then come to the path that connects with the Tai Tam Country Park trail that goes to mount Parker. You come to an intersection where there will two paths leading to mount Parker, we took the Wong Nai Chung gap one. We visited this old structure too on our way at the end of the slope. There’s a sitting area and a barbecue area if you want to just relax. Lovely green hills that resemble Broccoli look over the dam. Again you will come to an intersection , take the Boa Vista Route. This is a long walk but the Boa Vista path is rocky and rustic and very enjoyable. However yesterday was a dull day but still with grey skies too it is beautiful. Keep climbing the steps and follow the beaten path. You will come across benches to sit and take a breather. Finally you come to an opening which connects with Mount Parker. your right there'll be toilets to relieve yourself. u can take a rest or continue down Mount Parker Road. is is a lovely hike. There are many ways to reach Mount Parker ….this is just one😁. However do wear proper footwear as the Boa Vista path is very rocky and uneven and tends to be slippery too. But a lovely mix of mud, concrete and rocks on this hike.